Total sanitation is no mean feat in a state where 90 per cent of the people live in hamlets scattered across the Himalayan mountain range and only 30 per cent of the households had toilets five years ago. But in October 2016, Himachal Pradesh not only became the first large state—and the second state after Sikkim—to achieve open defecation-free (ODF) status under the Centre’s Swachh Bharat Mission, but also achieved the status six months ahead of its target. And now, there is no looking back. District authorities in the state have selected gram panchayats from each block and are developing them as a model for efficient solid and liquid waste management. In Koti gram panchayat of Mashobra block, for instance, the authorities have provided two bins to each household—one for biodegradable waste and the other for non-biodegradable waste. “People now sell the non-biodegradable waste to scrap dealers. We are motivating communities to dig soak pits for greywater and compost pits for in-house disposal of biodegradable waste, which can be later used as compost in farms or kitchen gardens,” says Block Develop ment Officer Kalyani Gupta. Villages in Koti and their surroundings now look clean as no one litters or dumps waste on hillsides. Koti’s transformation has inspired the other 13 gram panchayats in Mashobra, where communities have voluntarily dug soak pits and compost pits. “Technicians at the block office immediately visit households that complain of overflowing latrines or discharge from septic tanks and offer design suggestions,” says Gupta. “To ensure total sanitation in future, we issue ration cards to new families only after they have constructed toilets,” she adds. In Mandi, which was declared the cleanest hill district in Swachh Survekshan, a country-wide cleanliness survey by the Centre in 2016, the authorities are developing 50 gram panchayats as Swachh Gram. “The gram panchayats are being developed under the district authority’s flagship programme, Mandi Vikas Abhiyan, which focuses on the holistic development of the district, right from total sanitation to woman empowerment and girl child education,” explains Sevak Singh, district coordinator of non-profit Mandi Saksarta Evam Jan Vikas Samiti. The programme comes handy in maintaining hygienic needs of the district. Today, Mandi has 4,490 mahila mandals (women groups), comprising about 70,000 women, who take turns to ensure cleanliness in villages and sensitise people about total sanitation and water conservation. “We devote two hours a week on cleaning activities, which may involve cleaning of public places, roads, schools, toilets in schools and anganwadis, water tanks, traditional water bodies and drains, and creating soak pits, garbage pits and vermi-compost pits,” says Neeta Kumari, who heads one of the four mahila mandals in Salvahan gram panchayat. “People now think twice before littering as they know that one of their family members would have to clean it,” says Geeta Devi, head of a mahila mandal in Bhayarta gram panchayat. In fact, the mahila mandal of Kothi gram panchayat has innovated ways to manage waste. They collect polythene bags from households and weave those to prepare a sheet, which is then used to line compost pits to regulate its moisture level and aid in composting. Using the plastic waste, the women have also prepared bin bags, which are hung from trees along trunk roads, so that people do not litter the roads. “To promote community participation in sanitation, we have set up a development fund for each gram panchayat, which ranges from Rs 7 to Rs 20 lakh, depending on the number of households,” says Sandeep Kadam, deputy commissioner of Mandi. 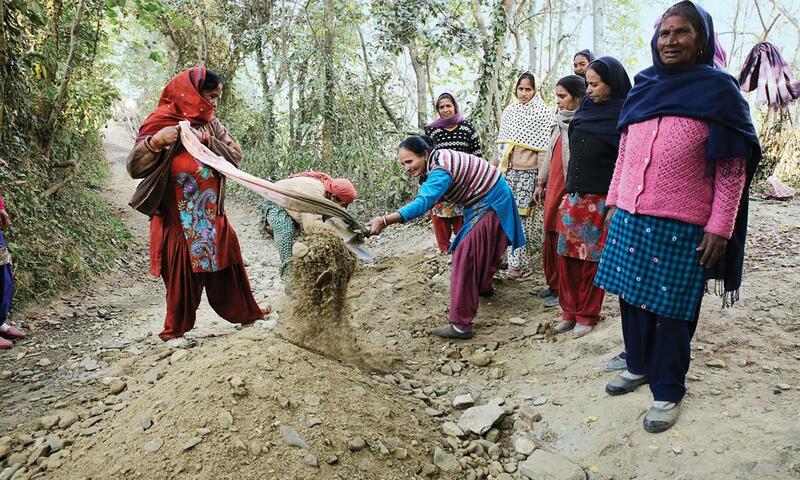 “We use the funds to set up concrete soak pits, compost pits, vermicompost pits and stormwater drains in the villages. We have also introduced several annual reward systems for mahila mandals and village panchayats,” he adds. In 2016, Khaddar gram panchayat was declared a Swachh Gram and received an award of Rs 5 lakh. While the officials and communities are confident that they can achieve ODF-plus ahead of the target of October 2019, the state, known for its hill stations and pilgrimage centres, may continue to struggle to curb open defecation and littering by tourists. Every year, Shimla district alone is visited by more than 3.5 million tourists—four times its population. Such high influx of tourists significantly increases the demand for water and sanitation facilities. While the state government has been trying to cope with the demand by setting up more community toilets, these appear highly inadequate. Rajesh Sharma, caretaker of the community toilet at a major entry point to the Mall Road in Shimla town, says, “The toilet complex has six toilets and one water tap, but no water. As a result, the toilets always remain choked. The unused ones have become hotbeds of mosquitoes.” Open defecation and littering by tourists is rampant in Mashobra block, which is about 10 km from Kufri tourist spot. 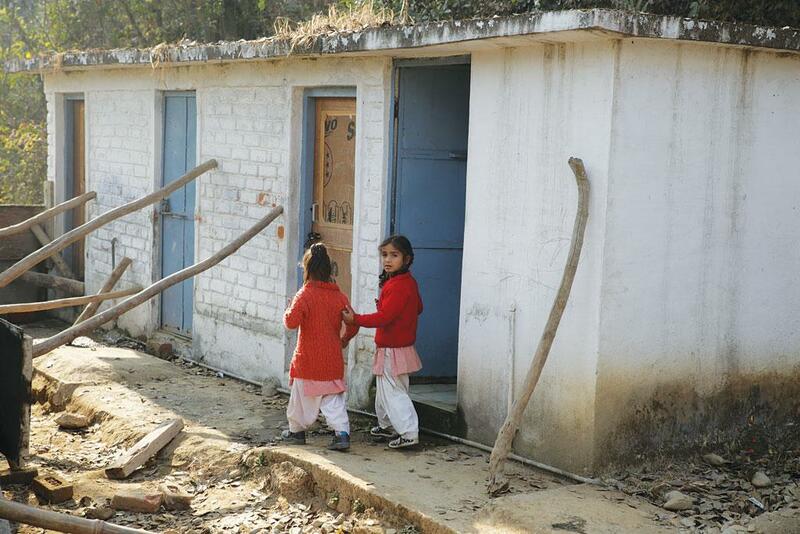 “In Shimla, we have built 26 community toilets along the national highway and plan to build 15 more,” says Prajapati. While he admits that there is a need for more toilets to cater to the tourists’ needs, people say the existing toilets barely function during the peak tourism season of November-June. Since most land alongside the highway belongs to the forest department, the district administration has installed makeshift toilets, or e-toilets, which are programmed for automatic flushing after use. They cater to only 35-50 people a day. Gram panchayats in the vicinity of national and state highways and tourist spots are the worst affected by the tourist influx as they do not have enough community toilets and waste management strategies, says Kamal Kar, director of Kolkata non-profit Community Led Total Sanitation Founda tion. But considering that tourism is a major source of revenue for the state government, the local administrations should provide facilities to address their sanitation and water needs, Kar adds.